Welcome to Centennial College. 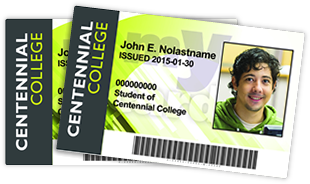 Centennial College ID provides this online photo upload service to expedite processing of your myCard. Your photo for the myCard must meet the requirements of the myCard Photo Submission criteria outlined during the submission process. You must be registered for the semester and you will need to provide an official form of photo identification (e.g. driver’s license or passport) to receive your myCard.